My Mother's loves animals of all types and My Favorite Things just had this awsome release. I thought I would get creative and make a card using these incredible products but I needed a mother's day sentiment. While out delivering the mail my little brain was just going and it came to me. HAPPY MoO-tHeR's DAY, and the inside sentiment? 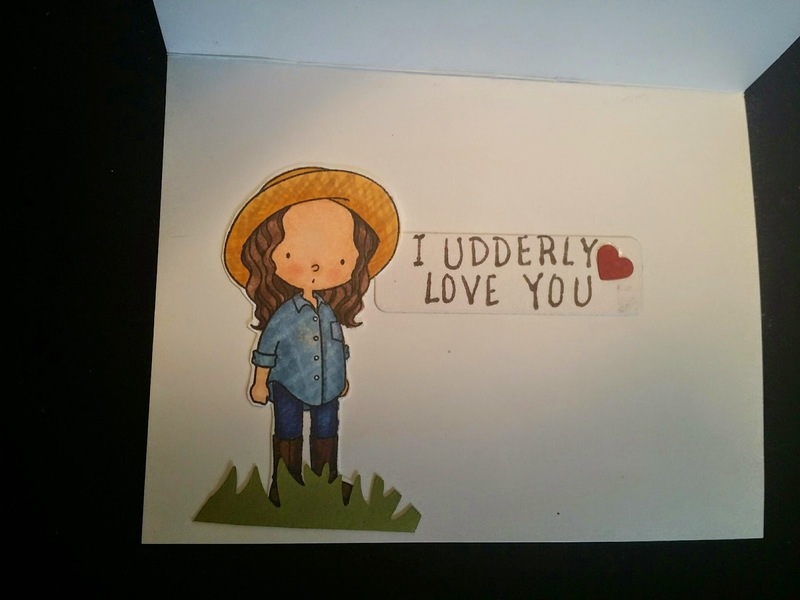 I UDDERLY LOVE YOU. So now how to pull this off. I pulled out MFT The Whole Herd and decided to use the letters in the sentiments, Memento Tuxedo Black Ink and Neenah Solar White and create the one I wanted. I pulled out my MISTI and masked off the letters and after a couple tries I did it. Using Tim Holtz Broken China and a blending tool I created my sky. 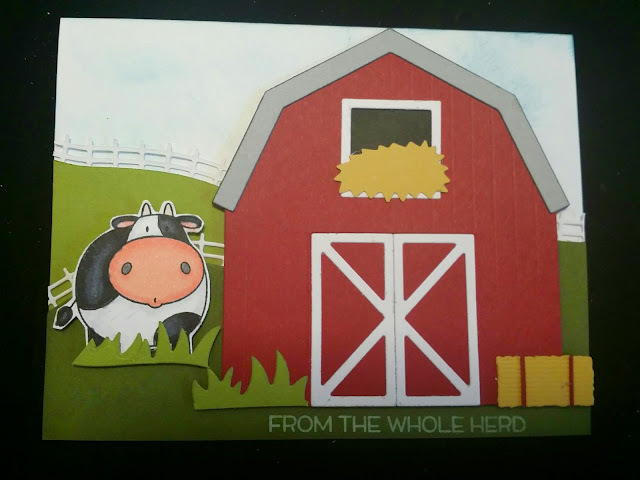 I then cut all my elements out using MFT'S Rolling Hills, Barn, and Grassy Fields. The cow is from The Whole Herd colored with Copics and the farm girl is from BB Green Pastures also colored with Copics. Now for assembly. The Stampin'up Old Olive hill was placed behind the Stampin'up Mossy Meadow one. The sentiment was fussy cut, placed on a square of Neenah cardstock and mounted behind the barn doors. I attached the rest of the barn elements and pope it up with Stampin'up dimensionals. I placed the cow to the left also popes up and added some grass. 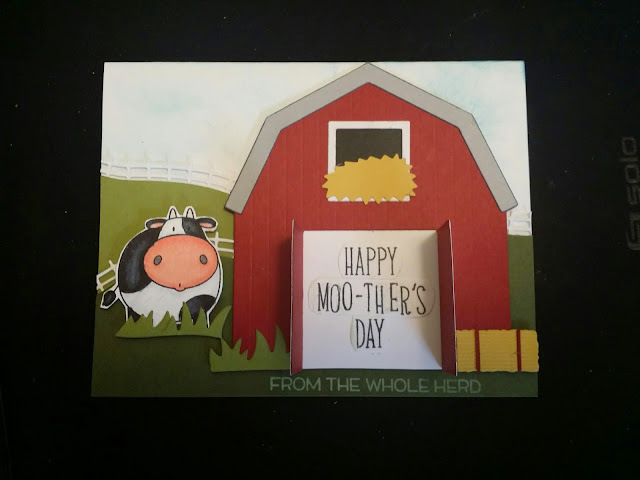 The inside sentiment was fussy cut along with the farm girl and placed on the inside. I then grounded her with some grass. I love the results and hope my mother does also.